Age limit: 20-25 years as on 23/10/2018. General/ OBC- Rs. 100/- to be paid online. No fee for SC/ST/Female candidates/ Ex- servicemen. 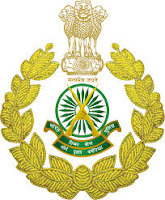 Interested and eligible candidate can apply Online at ITBP Recruitment official website. Last date of online Application- 23/10/2018.